The best way to deliver quality. 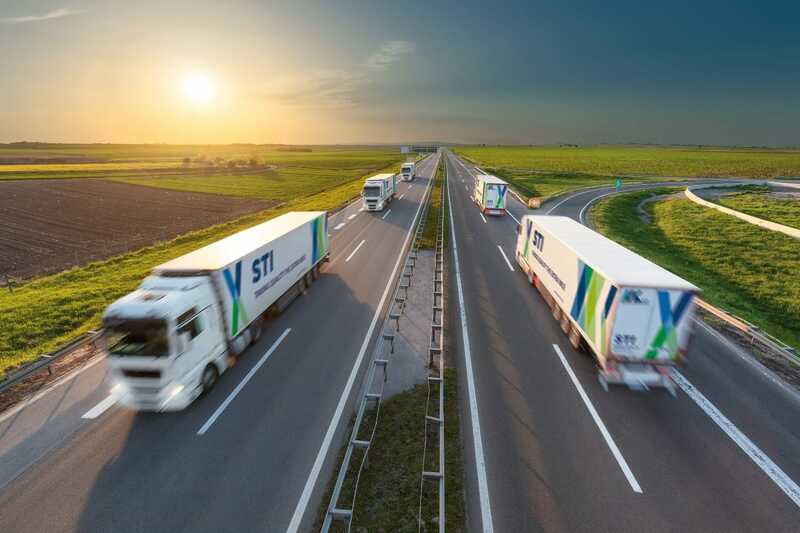 At any given time, every day of the year, there are several STI trucks on the roads in Europe. That’s because our customers rely on us to keep their fast-moving businesses going by delivering the right goods at the right time and temperature 24 hours a day. We are specialised in temperature controlled transport and offer you the latest vehicle, tracking and cooling technology to make sure your products arrive at their destinations exactly as how they left the factory. Our fleet of trucks are state-of-the-art and almost every aspect of transport can be processed digitally by our planning department. Modern telematics systems and real-time tracking allow us to know exactly where your goods are at any given time and can also give us detailed information about temperatures and conditions. Regardless of whether your goods are frozen, fresh, chilled or dry, we ensure that they reach their destination exactly the way you intend. Our wider international network allows us to transport goods as efficiently as possible, thanks to dedicated route planning, a commitment to green transport and utilisation of our strategically located warehouses subsequently driving commercial and environmental benefits for our clients.